Dr. Phil, a long time chiropractic patient of Dr. Fabrizio Mancini, gives us an inside look of Dr. Mancini’s book, “The Power Of Self-Healing. Dr. Mancini is the President of Parker University. 1. 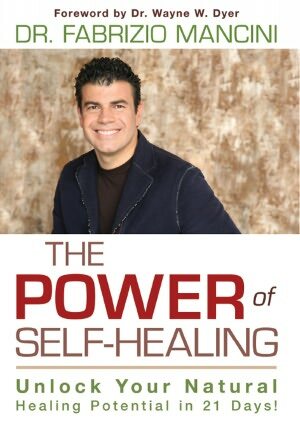 There is physical-self healing, emotional self-healing, and spiritual self-healing. 2. The body is self-healing and self-regulating, which means the body, your body, has an innate built-in mechanism for healing. Healing is a natural and normal process of the body. 3. The master system that controls and co-ordinates all organs, cells and bodily functions and processes is the nervous system. The nervous system is in charge of the body healing. 4. A chiropractor sees the patient as a well individual not a sick individual and the objective of chiropractic care is to help facilitate that self-healing ability from within. 5. Chiropractic care does not manage symptoms. Instead, chiropractic and the chiropractor looks at and treats the whole person, not the symptom. 6. Chiropractic helps restore the body to normal function. At Back To Health Chiropractic Centre, we practice by the exact same principles that Dr. Mancini talks about in this interview. Choices, life choices. That is the key to health and well-being and happiness in life. Choices. This is something that we teach heavily at Back To Health Chiropractic Centre in Maple, Vaughan. Because the choices you make today will absolutely determine the direction of your life tomorrow and down the road years from. I am very grateful for this interview and for the amazing healing insights that Dr. Fabrizio Macnini shared with us on the Dr. Phil show. If you would like to see how chiropractic can help you come visit us today or call our chiropractic office today. (905) 303-1009 Back To Health Chiropractic Centre in Maple, Vaughan Ontario. This entry was posted on Thursday, March 15th, 2012 at 11:21 pm	and is filed under Chiropractic, City Vaughan chiropractic clinic, Town of Maple chiropractic clinic, Wellness.